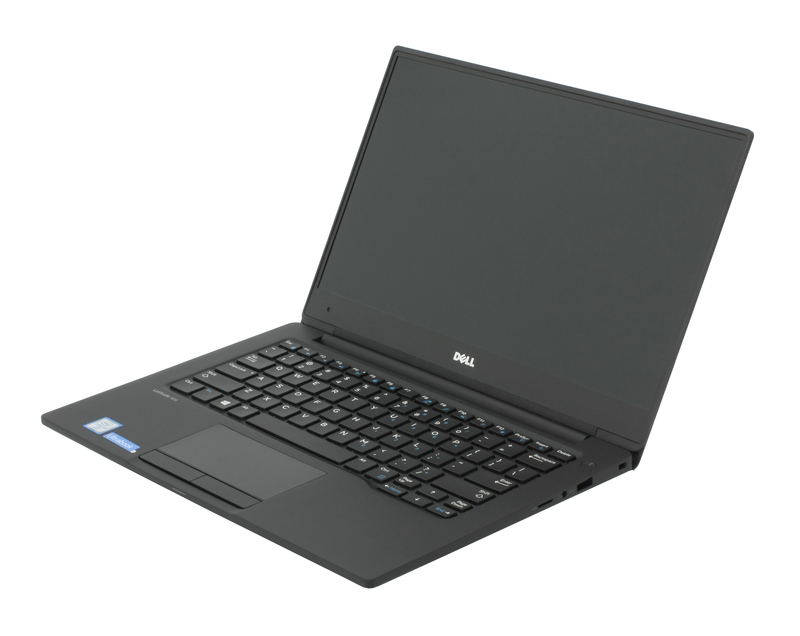 If you are a fan of Dell’s premium business XPS series but not a big fan of the price, the Latitude 13 7370 is an excellent alternative. 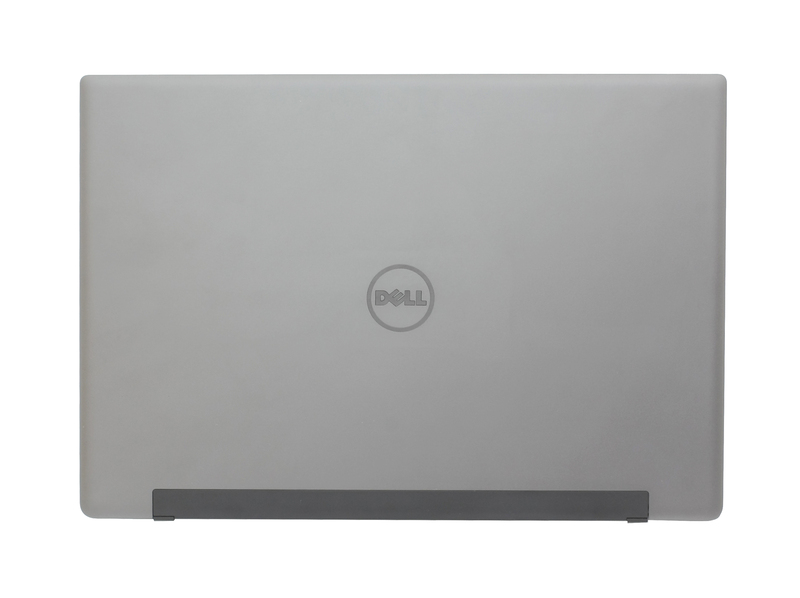 It’s much like the more expensive XPS 13 but also offers a passive cooling solution resulting in a silent working environment even under heavy workload. 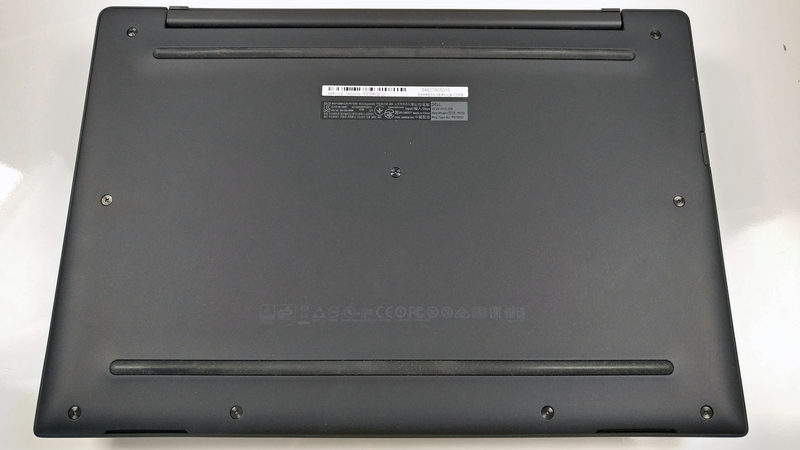 Aside from the silent operation, the Latitude 13 7370 has several other key selling points like robust, premium and simplistic design with an excellent choice of materials, portable dimensions and weight, long battery life (at least for some versions of the laptop) and comfortable input devices. However, there are some limitations to the current configuration that we’ve addressed in our review. For instance, you won’t get the full XPS 13 performance since the ultrabook has a Core m7-6Y75 mobile SoC that can’t keep the Turbo Boost frequency up for a long time and we’ve noticed that you can’t turn off the adaptive brightness of the display. The latter is quite frustrating and can affect battery life in mostly negative way – it’s always good to have the option of manual brightness control. In any case, it’s a notebook excelling in so many areas that it makes a compelling case for being your next premium business daily driver. Find out why in the review below. The retail box doesn’t offer anything out of the ordinary – just the usual user manuals, AC adapter and power cord. 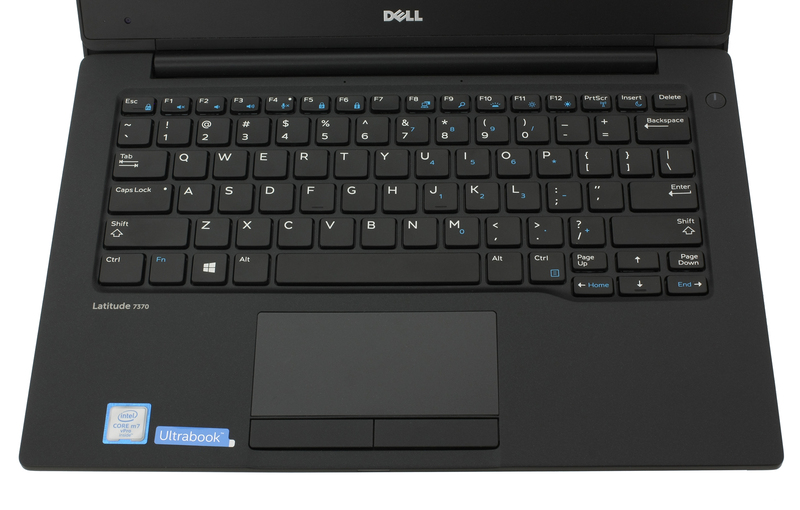 The overall appearance of the laptop resembles the one of the XPS 13 but there are a few significant differences. However, none of them result in lower-grade build quality. We still have aluminum and carbon fiber as base materials for the base and the lid. 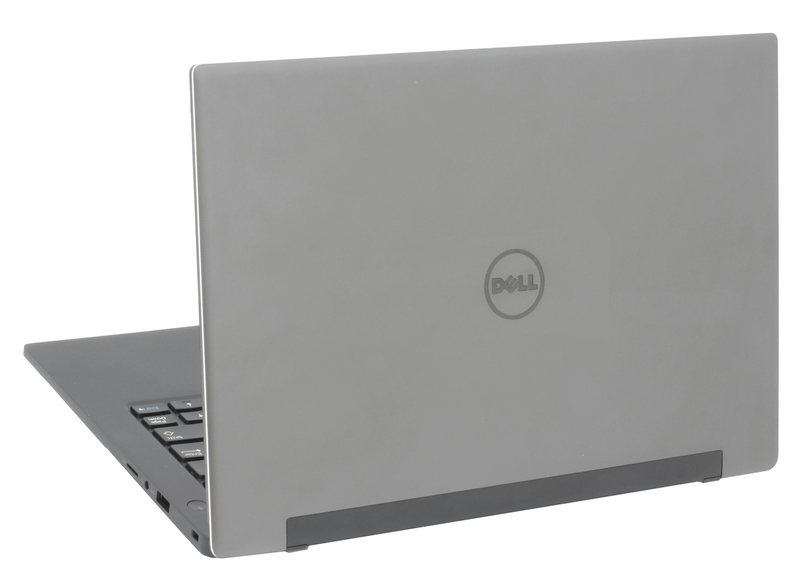 This has resulted in extremely light and durable chassis while the nearly borderless display, which Dell calls InfinityEdge, shrinks the footprint of the laptop to comparable 12-inch ultrabook. Features that we’ve already seen in the XPS series. Unfortunately, we didn’t have the chance to get the touch-enabled version of the notebook because it has a stunning carbon fiber plate used for the lid so our standard configuration uses a thick anodized aluminum backplate. Luckily, this doesn’t take away the rigidity of the lid – it feels rock-solid with great resistance to pressure, torsion and twisting. The center of the lid sinks in ever so slightly under great pressure and doesn’t cause ripples to appear on the LCD screen. Sadly, as with every anodized aluminum finish, this one is also a fingerprint magnet and they seem to be pretty prominent due to the slightly darker tone of the gray. Also, since the display uses a wide single-hinge design, the lid is very resistant to twisting but since the hinge is so tightly pulled, it doesn’t allow opening the machine with just one hand. At least this eliminates any sway when working on an unstable surface and isn’t prone to wobbling on the touch version. As for the bottom, it uses soft-touch matte plastic finish instead of aluminum plate which improves the grip but attracts fingerprints as well. The sides are impressively slim measuring at just 14.32 mm while still offering more than you could ask from a 13-inch mobile workforce. The left side packs not one, but two USB-C 3.1 connectors supporting Thunderbolt 3. However, only one of them will be available for use while charging. There’s also the mini HDMI port and the SIM card tray as the notebook supports 4G LTE connectivity. The right side adopts a single USB 3.0 port, a 3.5 mm audio jack and an SD card reader. Some users might complain about the lack of another USB-A connector but we can let that one pass sine we have two Thunderbolt 3-capable USB-C ports. Since each one supports 40 Gbps bandwidth, you can stick a lot of I/Os in there using a USB-C hub. Opening the ultrabook reveals a relatively familiar sight. The interior is made of black, matte, soft-touch plastic while still being supported by carbon fiber base beneath. It’s just that the finish isn’t transparent as the one on the XPS 13 and you can’t see the carbon threads. In any case, we are impressed by the excellent durability, feel and somehow fingerprints and smudges remain fairly invisible. As far as the keyboard and touchpad are concerned, they are just excellent. It’s exactly what we’ve expected from a high-end 13-inch business laptop. The keys feel quite the same as the XPS 13’s with fairly long travel and clicky tactile feedback with the only difference being in the keycaps. They are typical for the Latitude lineup with slightly concaved center for extra comfort while typing. The touchpad also takes a more Latitude-like approach with separate mouse buttons but the trackpad surface remains just as responsive, accurate and easy to use. Quite frankly, we don’t have anything to complain about. We can give the notebook a solid 10 out of 10 for exceptional build quality, dimensions, weight (just 1.2 kg) and nearly perfect input devices. The only small miss is the anodized aluminum on the lid that attracts smudges and oily fingers. Also, you might want to consider the absence of a second USB-A connector but then again, the two Thunderbolt 3 give you a wide range of choice for USB-C hubs expanding your I/Os beyond the limit. 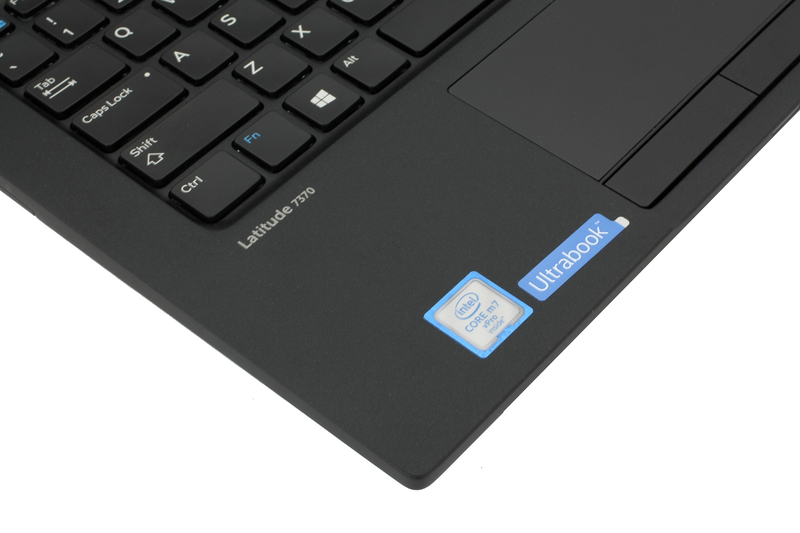 Just like every other ultrabook out there, the Latitude 7370 doesn’t have a dedicated service lid but it’s super easy to open for upgrade and maintenance. Just unscrew all the bolts at the bottom and pry up the plate gently. Storage options are limited due to the form factor of the device so you can only benefit from the M.2 PCIe NVMe-enabled SSD slot. 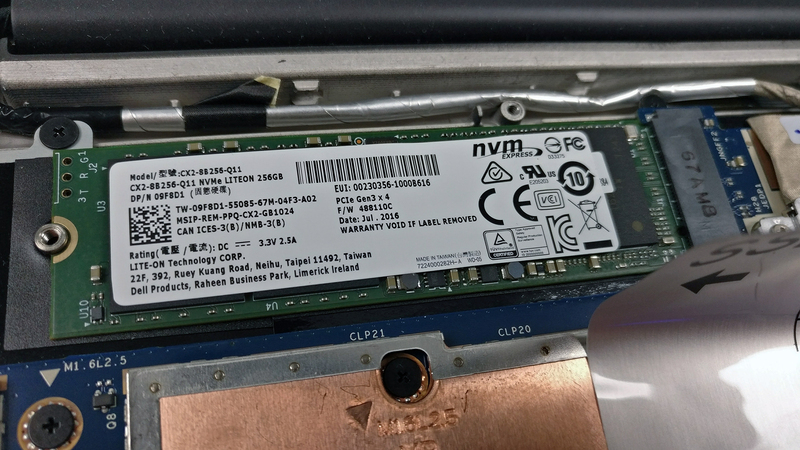 In our case, the unit came equipped with a Lite-On 2280 M.2 PCIe NVMe SSD with 256GB capacity. Another drawback of getting an ultraportable is the limited upgradability. And by limited upgradability, we don’t refer to the storage only – we are talking about memory. The laptop we got sports 8GB of LPDDR3-1866 soldered RAM, which should be fine for the usual web browsing, office work and some multitasking on the side. The Wi-Fi module is near the upper right corner (with the bottom facing upwards) and it’s Intel 8260NGW. The battery is rather small (just 34Wh) but to be honest, you can’t really expect wonders inside such small and compact chassis. As we stated earlier, the system relies on a passive cooling solution since the 4.5W TDP SoC allows such implementation. This means that the performance of the CPU strongly relies on the cooling design but our stress tests point out that there shouldn’t be any problems. 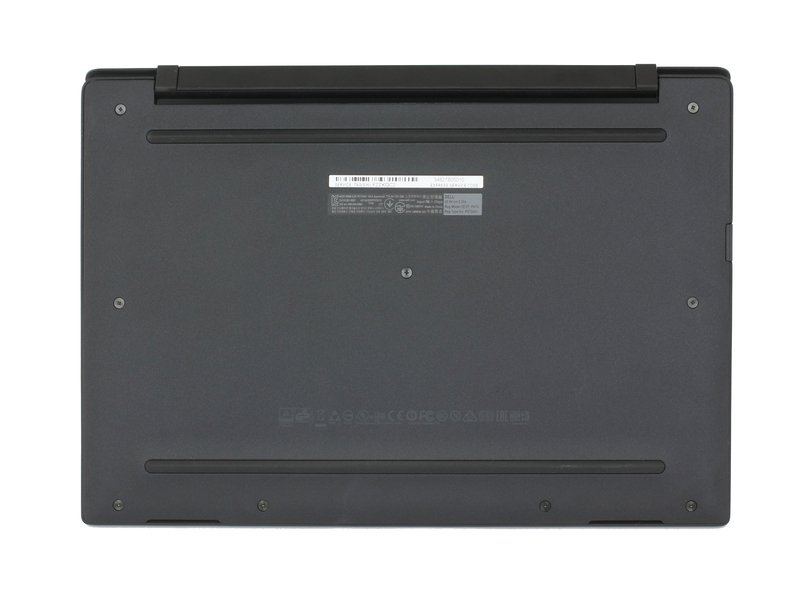 The ultrabook’s display uses a 13.3-inch Full HD (1920×1080) IPS panel from Sharp with model number SHP1460 (LQ133M1). This means that the pixel pitch is 0.153 x 0.153 mm and the pixel density is 166 ppi. It can be considered as “Retina” when viewed from a distance equal or greater than 53 cm. Viewing angles are excellent as you can see from the image below. Since the notebook’s display has the so-called CABC (Content-adaptive backlight control) and Dell hasn’t provided an option to turn off this feature. This means that some of the results may have a slight deviation. The maximum recorded brightness in the middle of the screen is 442 cd/m2 and the average across the surface is 389 cd/m2, which means that the maximum deviation is 18%. Color temperature is 7400K at maximum brightness so colors will appear slightly colder than they would be at optimal 6500K. The maximum color deviation dE2000 is 4.3, which is slightly higher than the 4.0 mark. This is very important value especially when color sensitive work is involved. The contrast ratio is 1100:1. We are glad to report almost full sRGB color gamut coverage – 97%. This makes the screen useful not only for general browsing and work but for multimedia and in some cases design. We have good news for users with sensitive to PWM eyes – the screen doesn’t flicker at any brightness level making it comfortable for long hours of use. Unfortunately, the screen uses PWM from 0 to 99% brightness but at high frequency – 19.5 kHz. This means that only users with sensitive eyes will feel the effects of the screen flickering. This is by far one of the best 13-inch Full HD displays we’ve tested. The notebook offers really high maximum brightness suitable for outdoor use even under direct sunlight – which is really important considering the form factor of the Latitude 7370 – it has almost full sRGB coverage, high contrast and you can get excellent color accuracy with our custom profiles. The only considerable drawback we could think of is the use of PWM from 0 to 99% brightness. Still, our Health-Guard profile can take care of that. The sound quality is generally good in the mid and high frequencies but at low frequency, there are some small distortions. The maximum volume is decent. We used the pre-installed Windows 10 (64-bit) for the writing of this review but if you want to do a clean install of the OS without the bloatware, we suggest downloading all of the latest drivers from Dell’s official support page. 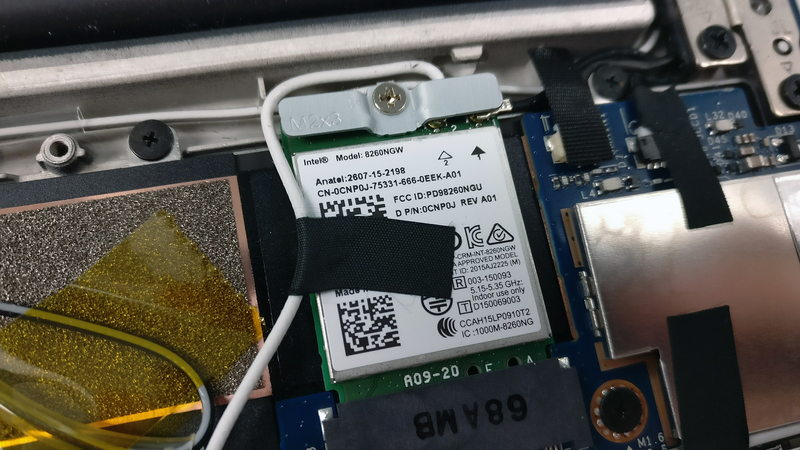 The most surprising thing about the Latitude 7370 is the small battery capacity of just 34Wh, which somehow is able to produce more than decent battery runtimes, at least when web browsing is concerned. However, on the video playback test, the score dropped significantly. In any case, it will get you through the day with a single charge depending on your usage habits. There’s something we need to note here, though. We’ve tested the device with Windows battery saving feature turned on and Wi-Fi constantly running but since the device doesn’t allow the adaptive brightness to be turned off (more on that later), we determined that at 50% brightness, the display’s luminance is close to the 120 cd/m2 target luminance. Excellent score on the web browsing test – 544 minutes (9 hours and 4 minutes). Considerably lower result here – 391 minutes (6 hours and 31 minutes). Of course, the laptop isn’t made for gaming but it’s good to know that it can last almost three hours under heavy load – 178 minutes (2 hours and 48 minutes). The Core m7-6Y75 is a super-efficient low TDP processor from Intel’s Skylake family built on the 14nm node offering two cores with Hyper-Threading. The base operating frequency of the cores is 1.2 GHz but can go up to 3.1 GHz for a short period of time. However, if the workload utilizes all two cores, the maximum clock speeds are limited to 2.9 GHz and can be sustained just for a short period of time depending on the notebook’s cooling solution. Speaking of which, the CPU is designed to be implemented into small 2-in-1 devices, tablets and ultrabooks with passive cooling solution. Thanks to the short burst frequency, the chip is able to match the Core i5-6200U CPU when it comes to short benchmark tests but its performance drops significantly over time. The whole SoC’s TDP is rated at 4.5W including the memory controller and the integrated GPU. The memory controller supports dual-channel LPDDR3-1866/DDR3L-1600 RAM chips while the GPU is Intel HD Graphics 515. The latter can be found in the rest of the CPUs from the same family – Core m3 and m5 and here, the GPU is clocked at 300 – 1000 MHz. What’s interesting, though, is that the CPU also offers Intel’s vPro technology pack aimed at business-oriented users along with all the usual features that all high-end CPUs have. Fritz is a chess benchmark that tests the computing capabilities of the CPU with various chess moves. The Intel Core m7-6Y75 scored 6.891 million moves per second. In comparison, one of the most powerful chess computers, Deep(er) Blue, was able to squeeze out 200 million moves per second. In 1997 Deep(er) Blue even beat the famous Garry Kasparov with 3.5 to 2.5. 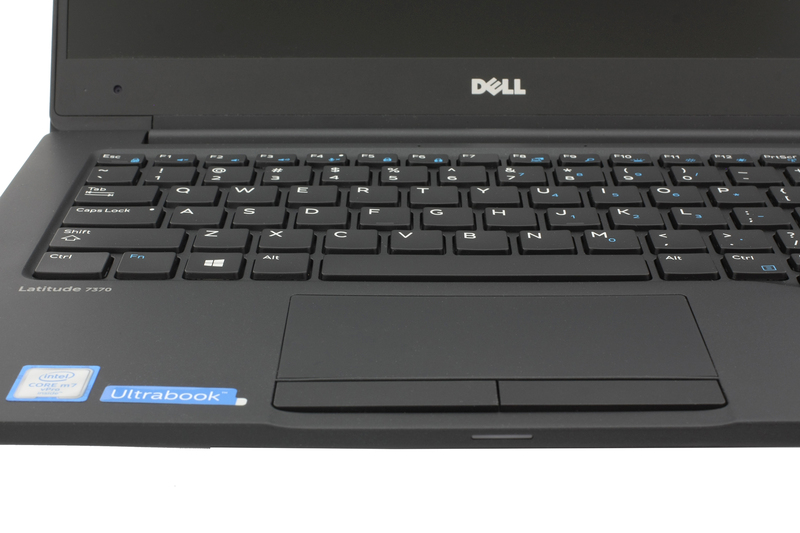 Here you can see an approximate comparison between the CPUs that can be found in the Dell Latitude 13 7370 models on the market. 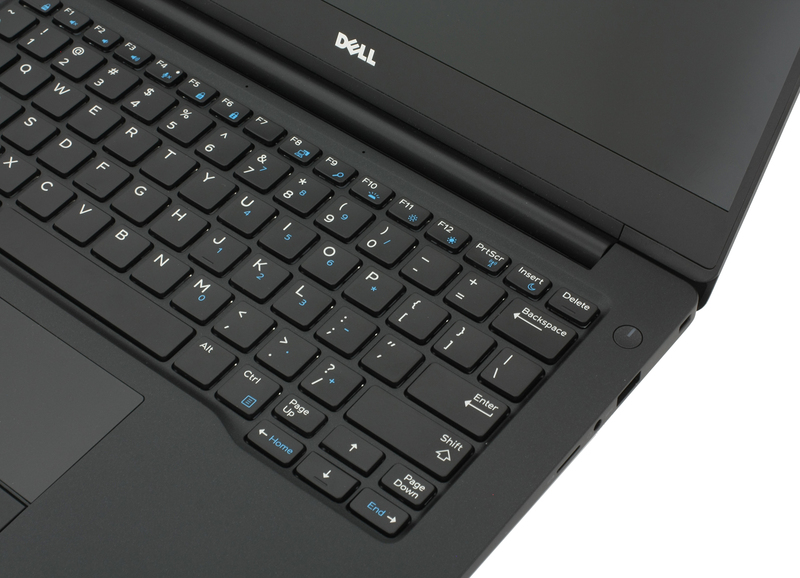 This way you can decide for yourself which Dell Latitude 13 7370 model is the best bang for your buck. Although the notebook isn’t made for prolonged and heavy workload like 100% CPU and GPU load but it’s still the best way to determine the overall stability and effectiveness of the cooling system. We ran the CPU workload for about an hour and for the first few seconds the CPU’s clock speeds reached 2.8 GHz, which is just 100 MHz short of the maximum 2.9 GHz for two active cores. Then, the processor toned down at around 1.5-1.6 GHz (still above the base 1.2 GHz) and stayed there until the end. After an hour, we turned on the GPU stress test as well and expectedly, the CPU’s frequency dropped at around 800 MHz so it can give enough headroom for the GPU to perform. We’ve also measured the temperatures on the surface and as you can see from the heat map below, there’s nothing alarming. 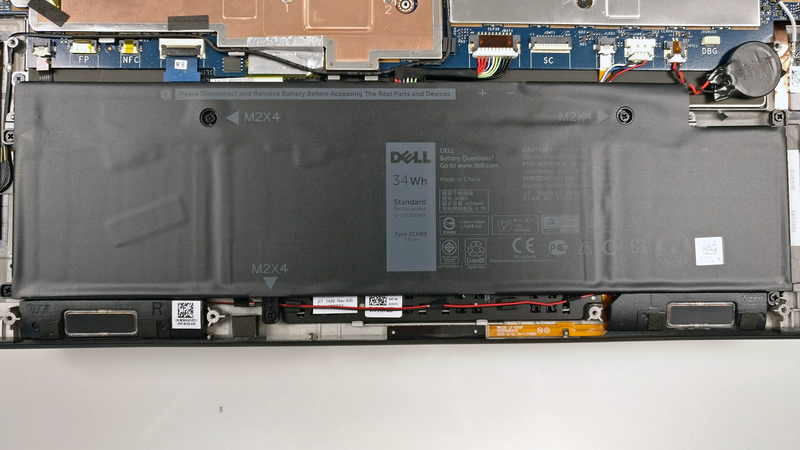 All in all, we can say that Dell was able to implement the Core m7-6Y75 quite well and squeeze out almost the maximum performance out of the SoC. This is a great plus because some devices with the same or similar processors aren’t able to utilize the full performance of the chip and end up crippled. We continue with the excellent display quality and long battery life – the former uses a high-quality Sharp Full HD IPS panel that puts other 13.3-inch screens to shame. 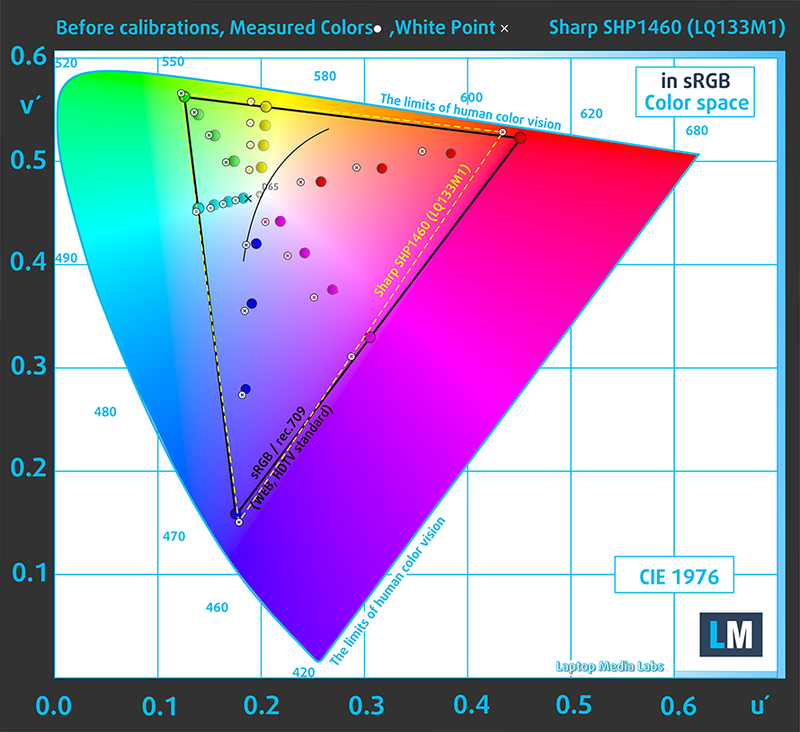 Impressively high maximum brightness, high contrast ratio and wide sRGB coverage. Paired with our custom profiles, the notebook can be used for color sensitive work on the go as well. 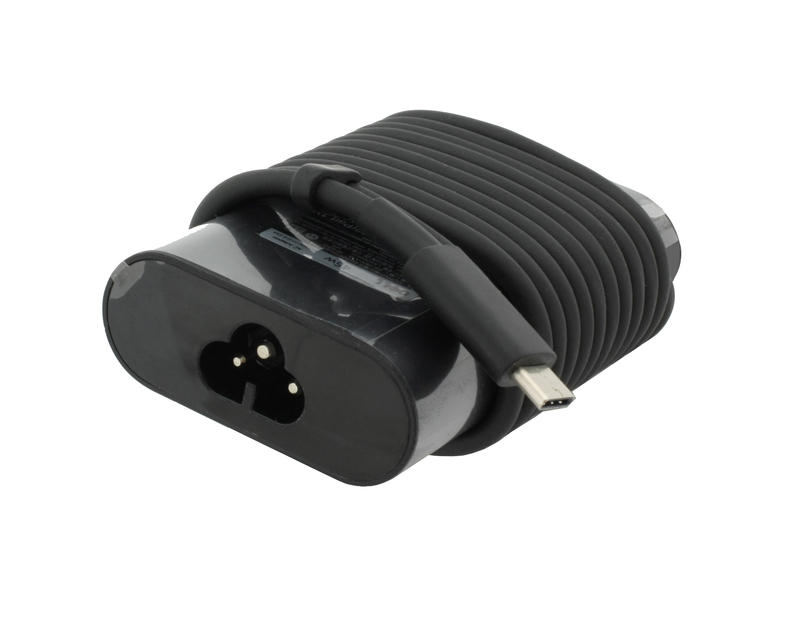 The only deal-breaker for some users might be the presence of PWM but luckily, we have a solution for that as well. 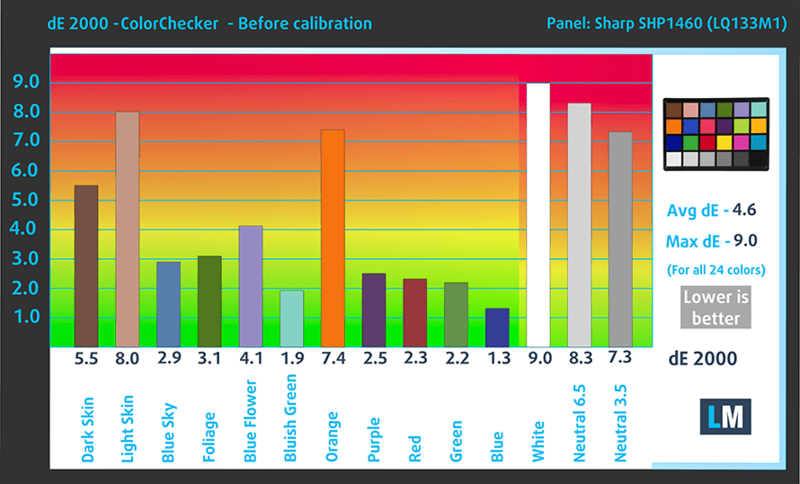 Our Health-Guard profile will not only limit the blue light emissions but also eliminate the screen flickering. And as for battery life, it’s not the best we’ve seen but it’s definitely among the best. It should last almost a full work day on a single charge thanks to the energy efficient 4.5W TDP SoC. Speaking of which, we are pleased to see that the laptop being able to utilize almost the full performance of the Core m7-6Y75 sustaining the 2.8 GHz Turbo Boost speed for quite a while before going back to 1.5 – 1.6 GHz. This is a very important aspect to consider since not all notebooks that come with a passive cooling solution handle the SoC that well. So is the Latitude 7370 worth it? Yes, it surely is as long as you are willing to spend so much money on an ultraportable business laptop with a mobile SoC that lacks a second USB-A connector and doesn’t allow you to adjust the maximum brightness and contrast. Nevertheless, it has all the essential features a business user would want but keep in mind that there are other 13-inch alternatives with ULV (ultra-low voltage) CPUs delivering considerably better performance at the same price. Of course, they come with their own shortcomings as well. The HP Spectre 13, HP Spectre x360 13 and the Lenovo Yoga 910 are one of them but to be honest, only the last two should be considered seriously.